Iran’s economic, geopolitical, strategic and military prospects in 2017 look bright for Tehran’s ruling politicians, but the situation is bleaker as far as regional tensions are concerned. Iran’s economic status and regional influence, as well as its deployment of hard power and military expansion, will probably escalate. 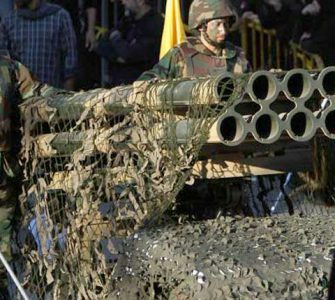 The Islamic Revolutionary Guard Corps (IRGC) will have a much larger function this year. After last year’s nuclear deal, Iran – the world’s last and largest untapped emerging market – will further reintegrate into the global economy. Iran is the second largest economy in the Middle East and North Africa with an estimated $1.35 trillion (Dh4.9tn) of purchasing-power parity, which makes it the world’s 18th largest economy. It also has the second-largest population of the region after Egypt, and is the 16th most populous nation, with about 82.8 million people. The moderates in Tehran will continue leading the country towards more business at the state level, but the hardliners – primarily the supreme leader, Ayatollah Ali Khamenei, and the senior cadre of the IRGC – will ensure they maintain a mono­poly over the political and economic systems. 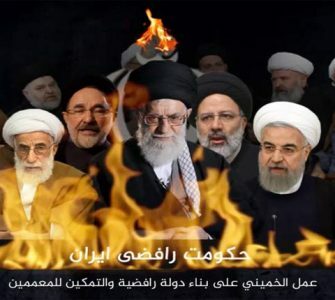 The major beneficiaries of Iran’s improving economic status are the gilded circle of Mr Khamenei, the IRGC, the Quds Force, the ministry of intelligence (Etela’at), the Basij military force and Iran’s allies – including Bashar Al Assad in Syria and Tehran’s proxies across the region. However, the economic status and living standards of ordinary people in Iran will probably deteriorate. Unemployment has reached a record high despite sanctions relief. Corruption, nepotism, economic mismanagement, prioritisation of military expansion and the pursuit of regional hegemonic ambitions all play crucial roles. Iran is ranked 136th out of 175 countries in Transparency International’s corruption perceptions index. The middle class is shrinking and the government’s extra revenues are not trickling down to the majority, just to those who are connected to the political establishment. This means that the people’s disenchantment, disaffection and grievances with the government will increase. Since Iran’s improving economic conditions mean more investment in the military and interference in other countries’ domestic affairs, regional tensions, insecurities, humanitarian tragedies and conflicts will probably increase. In other words, Iran’s increasing financial revenues will not alter the fundamental pillars of its regional and foreign policies. With more cash in the treasury, the IRGC will expand its military, financial, advisory and intelligence assistance to its staunchest allies. This will increase sectarianism, enlarge the Shia-Sunni divide and empower fundamentalist groups such as ISIL. Since the United States and other western powers do not seem to have a clear agenda to address the Syrian war or other conflicts in the region, Iran is likely to take a bolder military role. This suggests that Iran and Russia will increase their strategic cooperation and more robustly pursue their shared regional ambitions. It’s worth noting that while Iran’s regional influence and military role will probably increase, Tehran will be less capable of totally tipping the balance of power in Iraq, Syria or Yemen in its favour. One of Iran’s main challenges will be the billions of dollars that it haemorrhages on Mr Al Assad’s forces and Shia fighters, as well as the fighters that it loses in the battles. The nuclear deal will probably remain intact. Even if the new US administration has issues with it, the other six parties – China, Russia, the United Kingdom, France, Germany and Iran – are likely to stick by the agreement. Several European countries are eagerly welcoming the increased trade with Iran, especially in the gas and oil sectors. The only change in the US-Iran relationship will probably be heightened rhetorical tension, but this is unlikely to translate into geopolitical, strategic or economic repercussions that damage Iran’s interests. Then there is the issue of a possible succession to the supreme leader, who is said to be ill. It is realistic to expect that the senior generals of the IRGC and Mr Khamenei are already grooming a cleric who shares their ideals. This means that the next supreme leader will probably be a hardliner who will preserve the core pillars of the Islamic Republic’s political establishment, prioritising its revolutionary ideals and giving more power to the IRGC to pursue its militaristic ambitions. 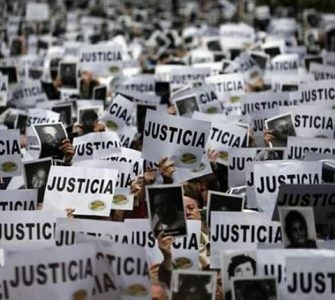 Domestic reforms are less likely to occur at a fundamental level, meaning that social justice, human rights and the rule of law will not improve. 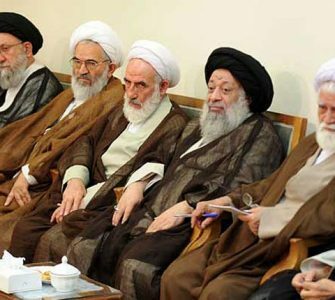 We are unlikely to witness a significant domestic fracture across Iran’s political spectrum because the hardliners have been successful at suppressing domestic political opposition. The moderates have also allowed the hardliners to lead to survive politically. 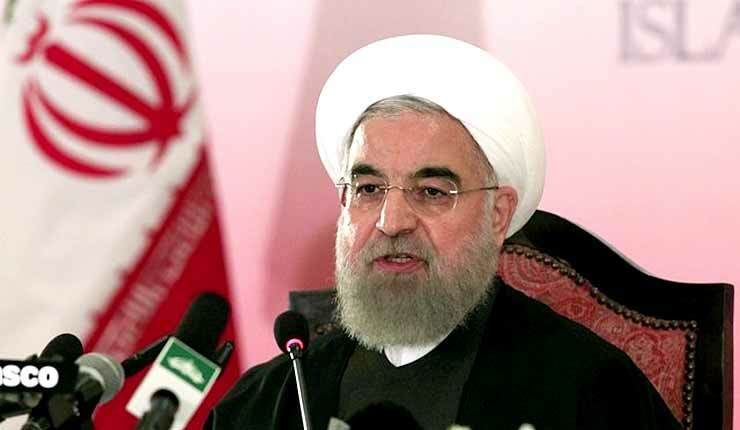 Iran’s presidential election will be conducted in June. Despite the hardliners’ criticisms of president Hassan Rouhani, he still enjoys high popular support. He also has the support of Mr Khamenei, who has reportedly told former president Mahmoud Ahmadinejad not to run. This seemingly clears the way for another term for Mr Rouhani.